This answer is applicable for many BMWs in addition to the one listed below. Our vehicle will not move when put into reverse. I checked to see if the shifter was loose or wouldn’t move but all looks good. There is no problem with any other gears. I hope it isnt bad…….. In this case (I’m sorry to say) ….. it is bad. Your 2001 325i is equipped with the ZF manufactured A5S-325Z transmission (also known as the ZF 5HP-19). This transmission was installed on various 6-cylinder 3, 5 and Z BMW models in the late ’90s and early 2000s (models with M54 engines only). Note that the similar 3.5.X and Z models from the late 90s through the mid 2000s also used the GM manufactured A5S-360R and A5S-390R transmissions. The specific model and date of production will determine which transmission is used in the vehicle. These GM transmissions also have a common no-reverse issue, but the causes are totally different. For info on no-reverse for the A5S-360R/390R transmissions see the link below. The A5S-325Z automatic transmission that is used in your 2001 325i has shown a tendency to fail in the mode of “no reverse”. This is due to a failure of the D-clutch drum – clutch retainer snap-ring groove. 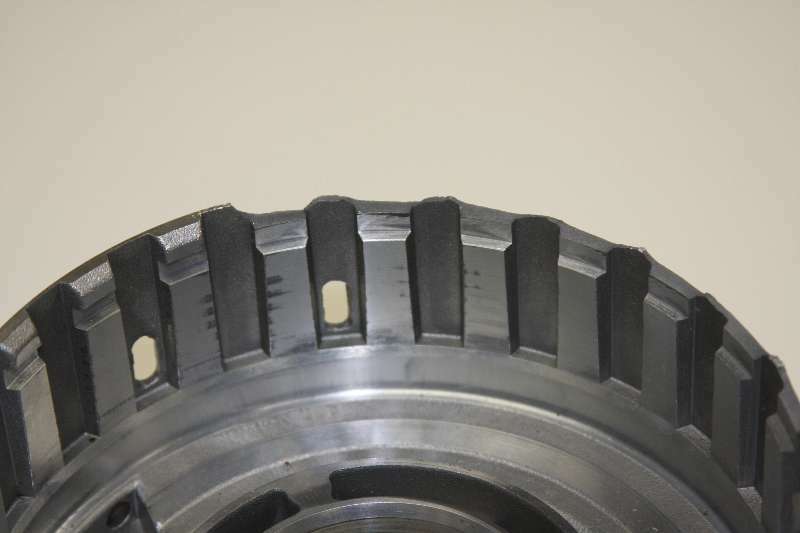 Repair involves full disassembly and replacement of the D-clutch drum. Of course, since it is all apart and the vehicle likely has somewhere around 100,000 miles, it would be prudent to reassemble the transmission with all new clutches, seals, etc. in other words install a rebuild kit. 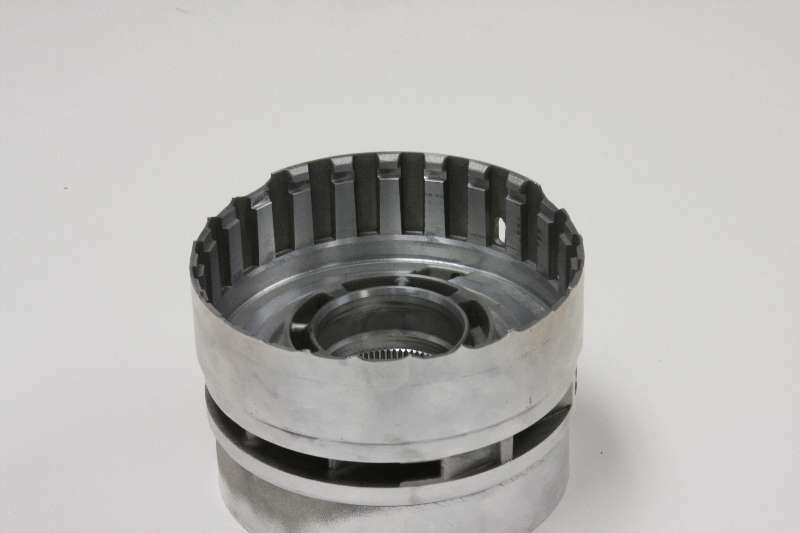 Note that the replacement D-clutch drum that we offer is an improved unit and the snap-ring groove area is strengthened and reinforced. We also suggest that a full master rebuild be performed while the transmission is disassembled. This would include all of the clutch and wear parts as well as the seals and gaskets. If the transmission has around 100,000 miles of use, it would only make sense to reassemble it with the new fresh parts and start with a basically new transmission, since the highest cost of a regular rebuild is the labor to remove and disassemble the transmission. Could there possibly be a disconnected electrical connection, or something to that extent? If not, I THANK YOU for your help! Even if the electrical harness connector were disconnected from the transmission, it would still be able to be put into reverse, via the shifter. This broken D-clutch drum is becoming quite common. The only noticeable fault is that there is no reverse …. all forward gears typically work fine. Of course, there is certainly a chance for further damage due to the broken parts. I have a similar situation for a 2001 330i sedan with about 121K miles. My question is: (1) do you happen to know what labor cost is involved with replacing the D-clutch drum?, (2) is the labor cost significantly higher when implementing the rebuild kit?, and (3) how can I tell if this is the transmission model that is on my 330i? Yes, your 2001 330i does have the A5S-325Z transmission. Replacing the D-Clutch drum is all the same labor as installing a rebuild kit (new clutch plates, etc.). It really does not make much sense to only replace the drum and then re-install all of the old-worn clutch plates. A 2000 323i could indeed have the A5S-325Z transmission. If the production date is 03/2000 or later, the car will have this transmission. In this case, the transmission would be susceptible to the “no reverse” fault and the replacement D-clutch drum is the proper repair. My ’03 325i (production date 3/2003)seems to have the A5S-325Z transmission. No trouble with reverse…it has the opposite problem. It won’t shift from first to second. Would this also be a result of a broken D-clutch drum? No, this is likely not a D-clutch issue. Does the transmission never shift out of 1st gear? Any difference whether the shifter is in DRIVE or if you shift it manually? Have you had it checked for transmission fault codes? My 330ci 2001 has same issue, it wont shift from 1st to 2nd gear,its automatic,started when i changed transmission fluid. Please share info if you was able to fix your car. Have you verified that the trans fluid is at the proper level …. WITH THE ENGINE RUNNING? My 2000 323i has 95K miles on it and i found out a few weeks ago that sometimes it will not go into reverse. It only does that sometimes, not all the time. What do you suggest? Is this the same issue as the above complaints? Sounds like theirs are permanent. Your 2000 323i could have the A5S-325Z transmission. If the production date is 03/00 or later, it will have this transmission. In this case, it is likely that you may be showing an early stage of the failure. One of our agents, here, has had the same symptoms. He has parked the car until the transmission can be removed and repaired. does 325i e46 2003 has still the D=clutch problem or did they fix to this year? i dont have a problem i just got scarred reading this tread! Your 2003 325i does not use the A5S-325Z transmission. Therefore, the “no reverse” issue does not apply. I have a 2000 328ci assembled in June of 1999. I have just recently had the “no reverse” situation happen to me, but not all the time. Is the problem mentioned above fo rthe A5S-325Z transmission apply to me as well? Your 328ci would not have the A5S-325Z. If you are having intermittent No-Reverse issues, you may have a control unit, valve-body solenoid or valve-body valve problem. We do not have a specific “they all do that” for your transmission. The E46 323i models use the A5S-360R transmissions up through Feb. 2003 (02/03). From 03/03 on, they use the A5S-325Z. Therefore, this 1999 model will NOT have the A5S-325Z with the potential No-Reverse issue.